Natalie Teeger has picked up a few detective skills of her own during her years as Adrian Monk’s loyal assistant—and she’s eager to put them to use. But that’s not easy when you work with a deductive genius who can solve a murder in no time. But Natalie gets her chance when a man with no identity is found dead of natural causes, and neither Monk nor the police see any reason to get involved in the case. It also helps that Monk becomes distracted by a crime-scene cleaning crew’s ability to clean up the worst messes imaginable. He gets plenty of opportunities to see them at work as he investigates several particularly brutal murders that seem to be tied to a worthless secondhand couch. 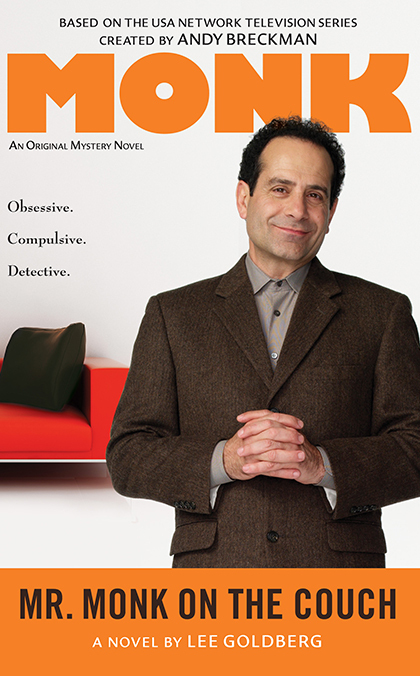 With a little help from Monk’s agoraphobic brother, Natalie tackles her own investigation while also helping Monk track the couch by following a bloody trail that could lead them to the most ruthless killer they’ve ever encountered.